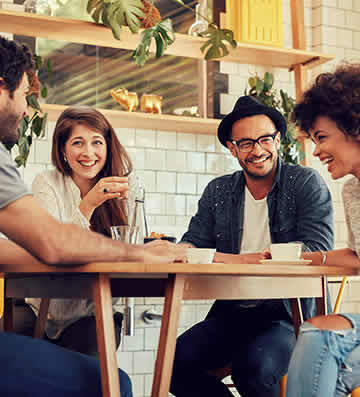 When travelling to any new country it's a great idea to get to know the local customs and goings on, so that when you arrive you can dive straight into local culture. We have teamed up with Molly, author of Piccavey - all about food, culture and travel in Spain, to bring you some great insights into Spanish way of life. Whether you want to dine like a Spaniard, watch local sports or you happen to see a street festival taking place, our guide will help you to make the most of Spanish culture on your holiday. -¿Cuánto cuesta? How much is it? -¿Habla inglés? Do you speak English? -Tiene una carta en inglés Do you have an English menu available? 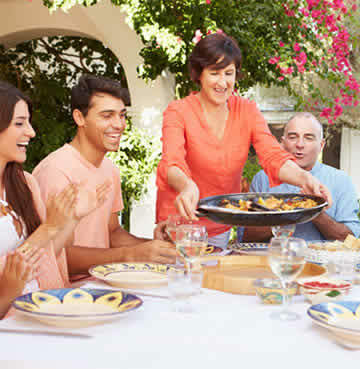 Mealtimes are later than other European countries, especially in summertime when the days are hotter. Lunchtime is generally around 2pm to 4.30pm, and dinner takes place from 9pm until 11.30pm. You’ll find that restaurants will be open later, so you can spend a little longer at the beach enjoying the sunset and still arrive in time for dinner. After-dinner drinks usually begin after midnight, and at the weekend young Spanish people will meet around midnight to go out until the early hours. If you plan on going out to party while on holiday in Spain, it’s worth noting that most nightclubs won't even open until midnight. Spain has countless local traditions and customs. Every single village, town and city across the country have their own annual festivals. 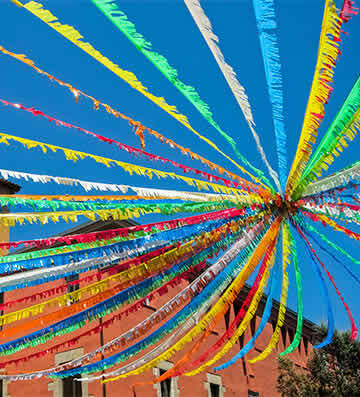 Many fiestas are connected to religious dates in the Spanish calendar, such as the Easter processions seen in Andalucia. 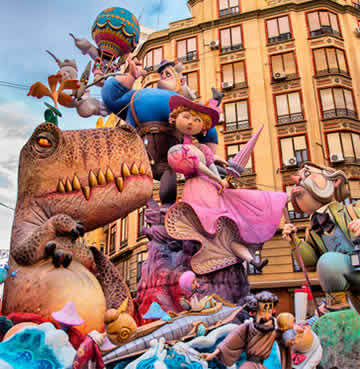 Every year Easter events attract huge crowds to the main cities, so if you’re travelling to Spain in the spring, try to catch one of these colourful proceedings. The festival of San Fermín in Pamplona was born from the need to move bulls from one type of land to another. Today the ‘Running of the Bulls’ is one of Spain’s most famous taking place annually in July. Others have their origins in the agricultural calendar and are linked to the harvest time of different crops. Make sure you look up which vibrant and exciting celebrations are to taking place during your stay and go along to immerse yourself in the experience. Football is an important sport in Spain, with world famous clubs Real Madrid and F.C Barcelona dominating European titles and leagues. Locals are big fans, so going to the stadium, watching the match with a few beers and then filling up on tapas at the local bar is deep rooted in routine. Other popular spectator sports which are a must see for fans include Basketball and Motor GP. As good weather is almost always guaranteed, outdoor activities such as cycling, hiking and paddle tennis are popular too. 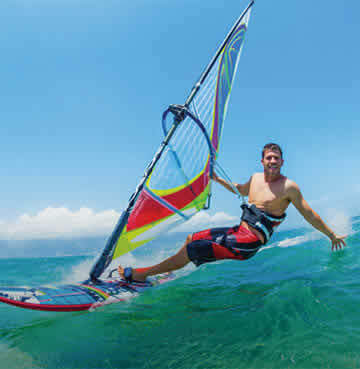 Cabo de Gata in Almeria is a perfect location for windsurfing and kayaking. A natural park with unspoilt scenery, Cabo de Gata is carefully managed to protect wildlife and the coastline. Sailing is also widely popular across Spanish resorts, and you can find some of the larger marinas in Palma de Mallorca, Costa Blanca and Ibiza, although most costal locations have a marina of some kind. The small port of Marina del Este in La Herradura is a charming place to dine, while looking over the boats as the sun sets. Spanish locals often spend their weekends at the beach or in the countryside, where it's common to have relatives or even a second home. Finishing work on Friday, locals leave town for the peace of the countryside or for a couple of beach days with family. Although it is considered to be a Spanish tradition the siesta is not a regular activity for everyone. However, in the heat of summer, when days are longer with more hours of sunshine a siesta is a good way to pass the midday heat. Some simply choose to stay indoors at siesta time without sleeping, just to have some rest from the heat, reading or watching TV until the temperature wanes a little between around 3 - 4pm. Usually in the summertime, Spanish families can spend the whole day at the beach. Arriving mid-morning, families often choose an area to rest for the whole day, and come well-equipped with Spanish food, chairs and parasols. Some of the best beaches in Spain can be found in Andalusia, particularly in Cadiz and Almeria. 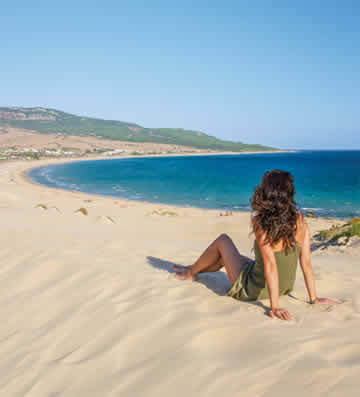 Two favourites are Bolonia Beach, in Tarifa, and la Barrosa, in Chiclana de la Frontera. These beautiful wide beaches boast fine sand and gorgeous natural landscapes.